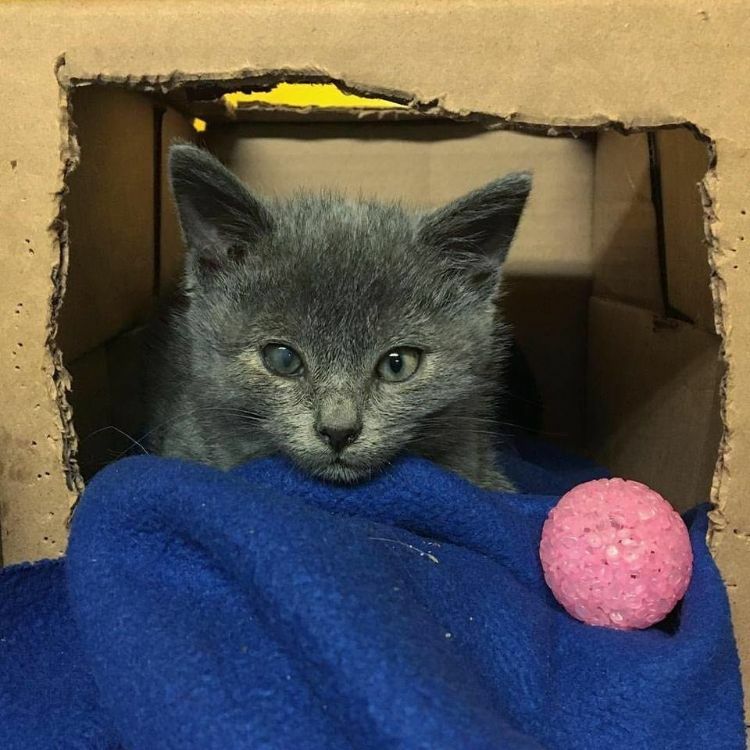 Berlingot was a six-week-old kitten who was seen at a barn with no mother in sight. 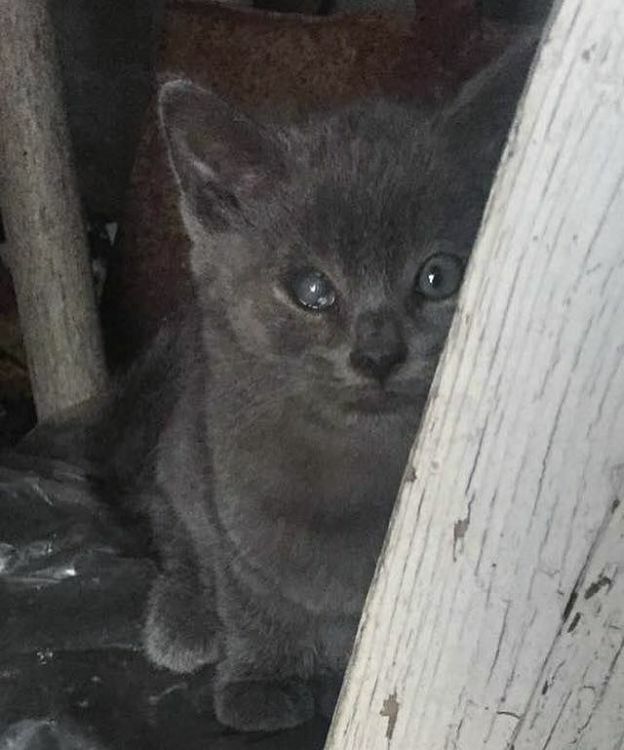 He was an orphan, and in October, Josie, the owner of the barn, was able to get a closer look at the little guy. She realized that one of his eyes was clouded over, and he was having a hard time moving. 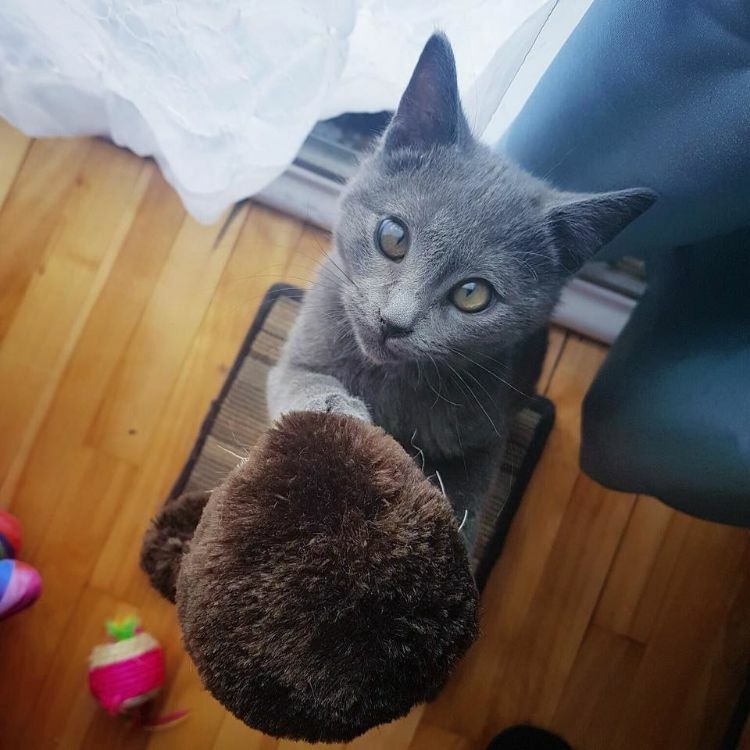 Josie immediately picked the kitten up --- he was too sick to fight --- and took him to Chatons Orphelins Montreal, the nearest cat rescue in Montreal, Quebec, Canada. 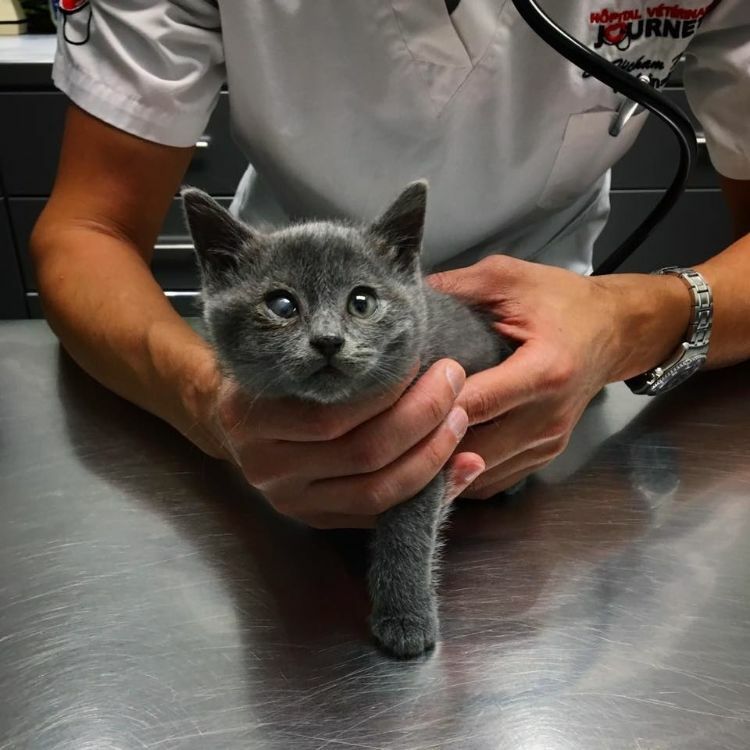 The rescue brought the kitten to a veterinarian right away. 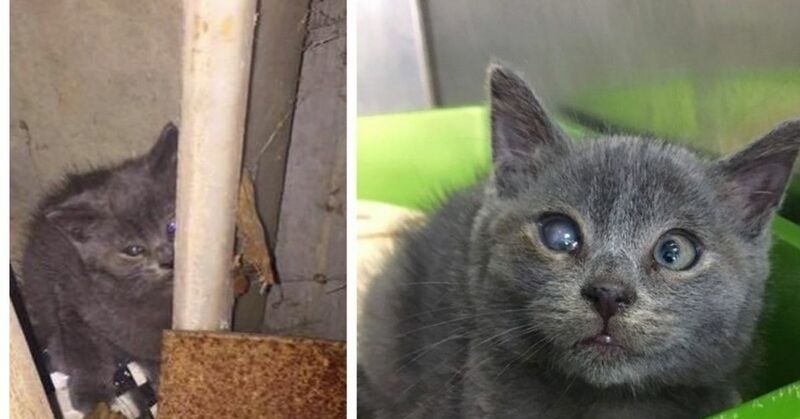 "The kitten was less than two months old, weighed around 600 grams and had a glassy eye. He had a veil that appeared to be a scar on the cornea probably due to an ulcer," said Celine Crom of Chatons Orphelins Montréal. Berlingot could not see through the cloudy eye, and the veterinarians at the rescue were not optimistic that he would ever regain his sight. Regardless, they wanted to do everything possible to get the kitten healthy and put him on the road to a happy life. 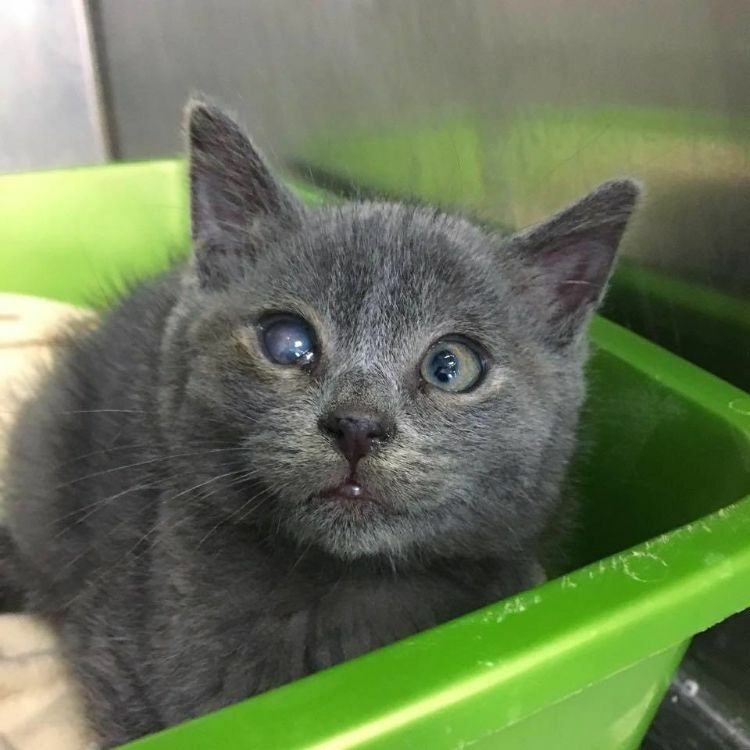 The kitten was administered treatments for scabs, parasites, and ringworm as well as a medicated ointment for his cloudy eye. At first, Berlingot was unhappy with all of the medicines and care he received, but he soon got over it. "This little boy was very small. He was anxious (with hissing and spitting) when he arrived, but in just a few days, everything changed. He began to ask for cuddles," said Crom. The kitten needed to be separated from other cats while he underwent ringworm treatment, and so life was a little lonely for Berlingot for awhile. Crom explained, "The little one grew up, and isolation was hard for him even though many people took turns to care for him. Eventually, after several weeks, he was able to move in with his foster family." Berlingot has blossomed in his foster family's home. "During the first two days at his foster home, he spent lots of time running around the house — finally a place spacious enough for him to play and stretch his legs," Crom shared. 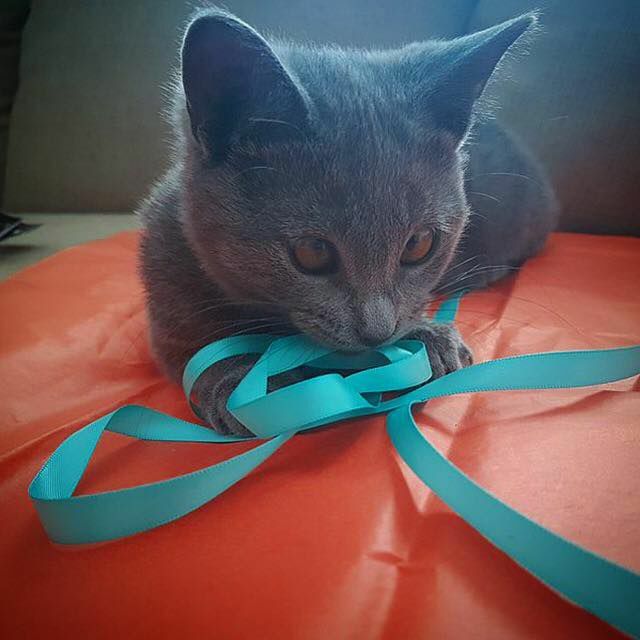 The kitten has become a social, friendly, loving soul. But the good news didn't stop there for Berlingot! With continued medications, his cloudy eye began to clear up. "He came to us with an opaque eye, and the eye treatment worked well. His vision improved!" Crom explained. Now, Berlingot can see better with that eye, and his slightly crossed-eyes are now easier to notice, adding to his unique charm. "He is playful and mischievous. Berlingot purrs as soon as we approach him — he likes to sleep near us and have cuddles. He is curious and always wants to know what we are doing," the rescue reported. 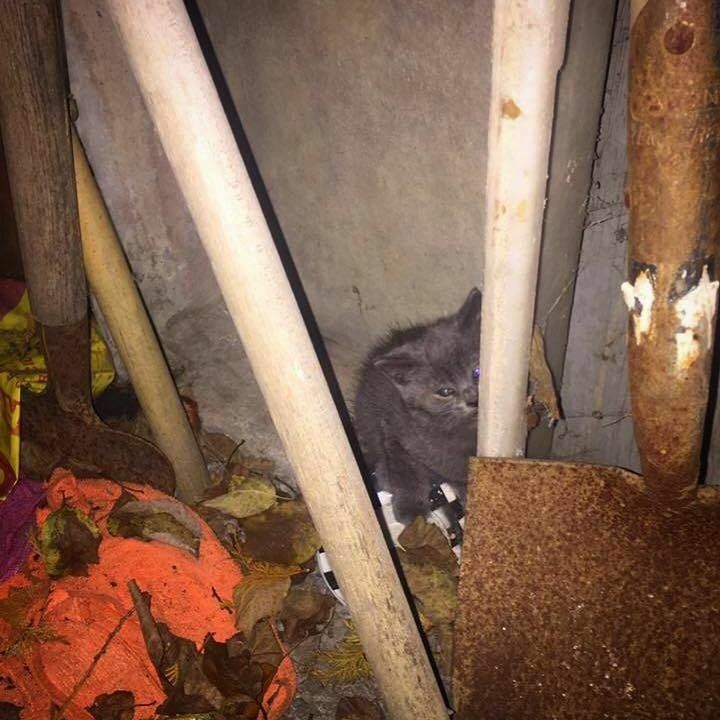 "The little one got a second chance at life, and we hope to find him a forever home this winter." 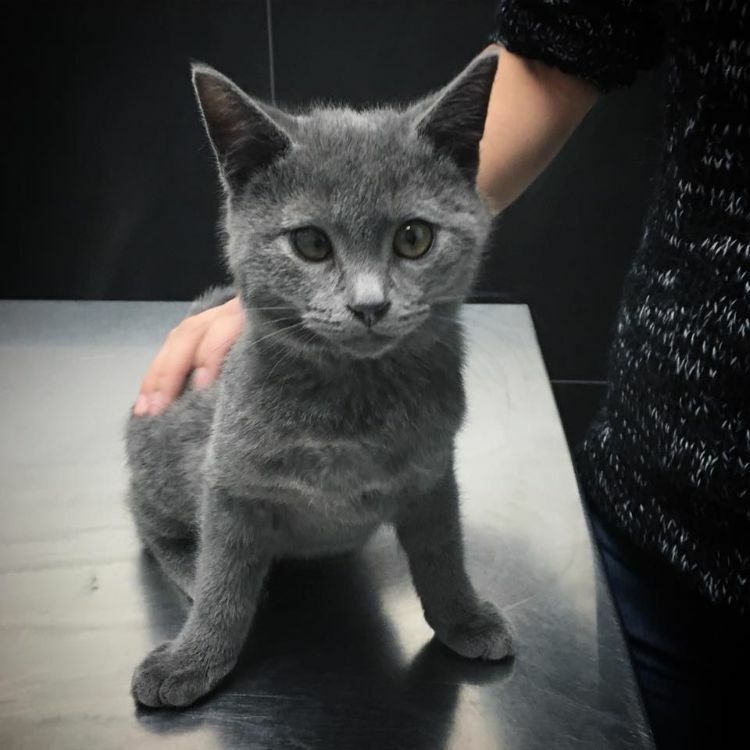 Fifteen weeks later, Berlingot is happy and healthy and looking for a forever home. 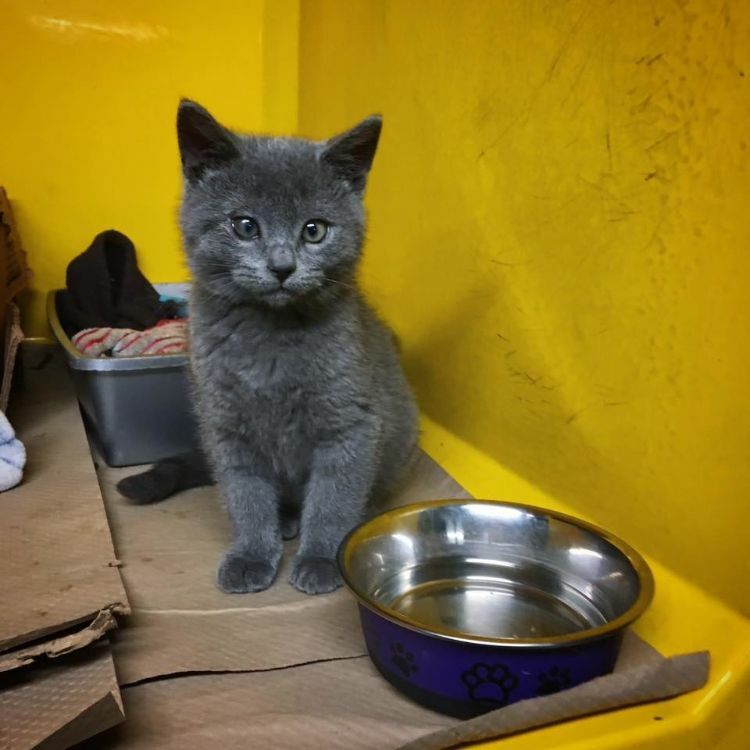 Are you the right person for this loving kitten? 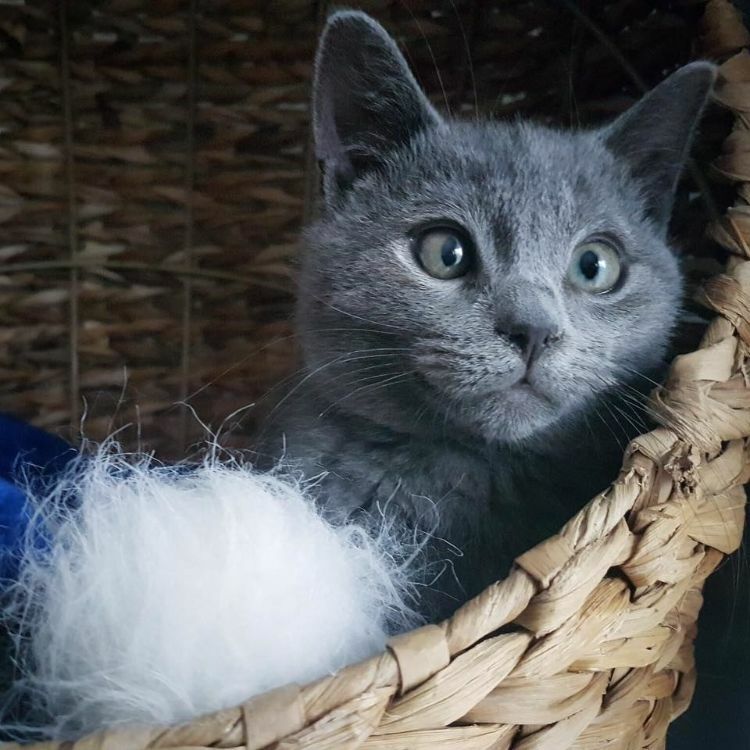 Contact Chatons Orphelins Montreal for more information. Share this sweet story with your friends and family on Facebook.